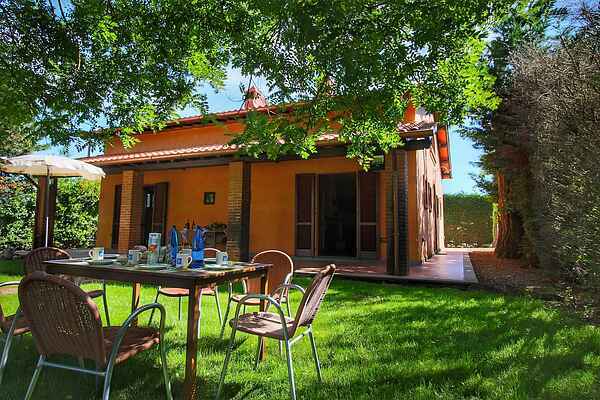 Villa Camillo & Tosco is situated between Montepulciano and Lake Trasimeno. The villa consists of 2 spacious apartments. There is garden furniture and a swimming pool in the garden. The swimming pool in the garden is a private swimming pool. The apartments are decorated in a country style with wooden furniture. The area, the Valdichiana, is known for art, culture and good wines. For wine lovers, the street "la strade del vino" is nice to visit with many wineries. Here you can see how wine is made, do wine tasting and of course buy wines. The Valdichiana borders the hills of Montepulciano and the Etruscan city of Cortona. Both towns are well worth a visit. Other nice cities are Pienza, Bagno Vignoni and Bagno San Fillipo, Siena, Perugia and Assisi.